Examly is an AI-powered, mobile first campus recruitment automation and assessment tool for corporates. Examly can help automate your entire campus placement process including assessments, drive workflow, candidate data management, and communications. Examly is a Progressive Web Application(PWA), i.e., It can be used as a desktop application which enhances secured test environment by not allowing the student to access the URL bar. It comes as a complete White Labelled Solution so you can have your company logo and URL and maintain the brand image of your company and safeguarding your candidate’s data. We help you pick the most deserving candidate by providing a very unique Test Replay system, where the candidate’s approach to answering is recorded. There is an added remark box against every candidate to feed in manual marks and interview feedbacks, this will help you leave remarks after evaluating for each round and takes care of the communication gap between every evaluation. With Examly you not just employ the best methods, you also automate them. Right from assessing the potential candidates to hiring the right fit, you can automate every step in the recruitment process. The struggle is real when it comes to the efforts you put to pick the best for a job profile. Examly has made sure it has resolved every problem surrounding it. A few of the pain points that Examly handles at ease are organizing a large amount of data including collecting students list, sending eligibility criteria and exchange of information from the company to students through colleges. Handling large volumes of assessments in campuses with unstable internet connections and proctoring difficulties. What problems does Examly solve? Drives: Drives module handles the entire process from planning a drive to handling the candidates of various rounds until they are recruited. The drives let you configure the workflow as per your selection process where the rounds to be conducted is customizable and editable at any point in time. 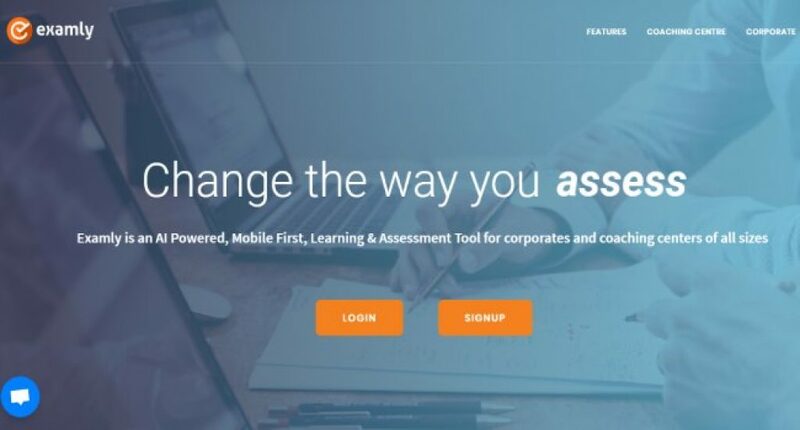 Workflow Assessment: Examly makes sure all kinds of assessments can be conducted on the platform. The assessments are as well auto-evaluated right after every round, making it less time-consuming to go through every candidate’s performance. The various filters help in listing through the candidates of various performance level. Corporates, Recruiters, HR, Placement Companies, Colleges etc. Examly not only lets you customize the dashboard and the reports with the help of several filters but also allows you to download them. You can conduct Psychometric tests using our partial marking system available for the question. Provision to test the young minds with 16 coding languages. Access Keys can be generated and regenerated any number of times, to prevent the tampering of the exams authenticity. Tab Switching Tracker while taking up tests. Registration of Students IP addresses and Device name against every test. Feature to lock down a particular IP address for the students to take a test from. Apart from these, Examly is soon to be the first AI-powered hiring and assessment tool.